Despite recently telling Exclaim! that they likely won't make it to our continent due to a lack of proper financial support, Swedish indie pop darlings the Radio Dept. have revealed a world tour that will bring them to North American soil this spring. And the timing couldn't be better, as the band have announced an upcoming double-disc singles collection. The tour has dates sporadically through November and December, including two shows in New York. Then, in 2011, they will spend February travelling the whole continent, making Canadian stops in Montreal on February 5 and Toronto on February 7. Perhaps a motivated Ottawa promoter should look into setting something up on February 6. As for the singles comp, it is called Passive Aggressive: Singles 2002-2010. There's no firm release date for the record, but according to Pitchfork, it is due out early next year on Labrador Records. 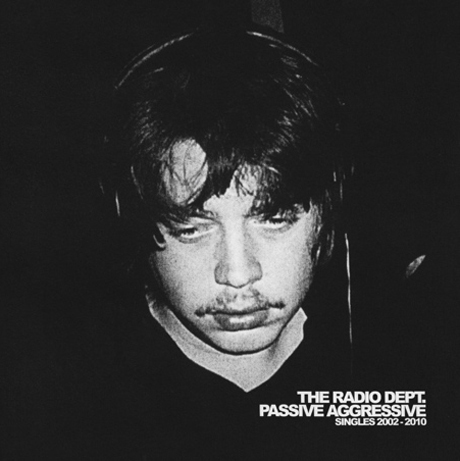 Along with the comp, the Radio Dept. will follow up the excellent Clinging to a Scheme album with the dub-influenced Never Follow Suit EP. According to Labrador, the EP features "multi-layered soundscapes of panoramic delays, hypnotic bass lines, echo-ing analogue synthesizers and skanky guitar loops." Never Follow Suit will be available on Tuesday (November 9). A pre-order is available here. The twelve-inch record will be limited to 1,000 copies. 1. "Why Won't You Talk About It?" 2. "Where Damage Isn't Already Done"
7. "The Worst Taste in Music"
8. "We Made the Team"
10. "Freddie and the Trojan Horse"
14. "The New Improved Hypocrisy"
2. "We Would Fall Against the Tide"
3. "You and Me Then?" 11. "The Idle Urban Contemporaries"
12. "All About Our Love"